While cardiovascular disease is any disease that affects the heart or blood vessels, I have recently written about heart disease at length. In this article I would like to focus instead on diseases of the blood vessels. In many ways it is difficult to separate the heart from the blood vessels in real life cardiovascular disease—a disease that affects the heart usually affects the blood vessels and vice versa. Perhaps more importantly, what is good for the heart is almost always good for the blood vessels. However I believe that the heart may get too much attention when discussing cardiovascular disease and often disease that affect the blood vessels are underappreciated. Diseases of the blood vessels can be quite serious, even deadly, so the path to prevention must begin with understanding. If the heart is the pump, the blood vessels are the pipes. There are three main pipes in the cardiovascular system: arteries, capillaries and veins. Arteries always move blood away from the heart. They are surrounded by smooth muscle and it is the pressure inside of them that makes up your blood pressure. Capillaries are very thin, very tiny tubes that allow oxygen and nutrients to cross from the blood to tissues. They also allow carbon dioxide to move from tissues into the blood. No tissue of the body is more than about a human hair’s width away from at least one capillary. Capillaries are so small in some places that only one red blood cell can pass through at a time and even it a has to bend to fit! The third pipe in the vasculature is veins. Veins bring blood back to the heart and, compared to arteries, are rather floppy and loose. They do not have much in the way of muscle surrounding them so there is little pressure. Most veins require muscular contraction to propel the blood back toward the heart. Thus when we flex our arms and legs we are providing blood propulsion for the veins. When the cardiovascular system is healthy, it delivers blood to all of the tissues of the body. When the cardiovascular system is diseased, however, it can cause serious and sometimes deadly problems. There are four main things that can happen to the muscular “pipes” of the cardiovascular system: The pipes can get too narrow, get too wide, can clog up and (frighteningly) can break open. These things usually never happen to healthy arteries but they can occur all too often to blood vessels that are diseased. The one disease that can cause all of these problems with arteries is the cardiovascular disease known as atherosclerosis. Atherosclerosis is a complex and serious disease affecting arteries. While most people think of the disease as “hardening of the arteries” or “gunk inside the pipes,” these are really oversimplifications. Atherosclerosis is a disease of the blood vessel--the actual blood vessel—not something that collects on the wall of the vessel (see Figure). Fats, cholesterols, free-radicals and destructive cells collect inside the wall of the blood vessel. As they accumulate over time, the growing plaque tends to push the internal vessel wall into the lumen of the artery. When the plaque ruptures, platelet and cellular debris accumulate on the plaque and can cause complete blockage. Even before the plaque ruptures, blood flow may be decreased because the plaque pushes into the middle of the blood vessel. When blood flow is impeded, it can lead to pain. For example, angina occurs when the small arteries around the heart have restricted blood flow. Sometimes when people’s legs ache when they walk, poor blood flow is to blame (this is called claudication; it is sort of like angina of the legs). Atherosclerosis not only causes the artery to narrow, but it can cause the artery to bulge out as well. At any point where the blood vessel is diseased, the muscle can weaken and the artery can protrude out. This bulging, weakened blood vessel is called an aneurysm. Aneurysms are particularly scary because they are almost often painless and can grow fairly large without causing any symptoms. Unfortunately as they grow, they are more likely to burst, which can lead to a life-threatening hemorrhage. Finally, cardiovascular disease of blood vessels can cause the arteries to tear apart in a process known as a dissection. Obviously this is very serious and terribly painful. Arterial dissection is often associated with uncontrolled high blood pressure and certain genetic diseases. Diseases of the capillaries themselves are not as dangerous as the cardiovascular diseases that affect arteries and veins; however, problems with the capillaries are often a sign of serious disease. When capillaries are not functioning properly they can cause significant pain. If they are not clearing fluid from tissues then fluid will back up, as seen in some people that have swelling in their legs. Smoking, high blood pressure and diabetes are particularly damaging to capillary blood vessels. In fact, many of the problems that occur with long term diabetes can be traced back (at least in part) to diseases of the small arteries and capillaries. The three dreaded complications of long-term, poorly controlled diabetes are retinopathy (eye problems, possibly lead to blindness), nephropathy (kidney disease) and neuropathy (diseases of the nerve causing pain and/or numbness). In each of the conditions, capillary disease is to blame. Diabetic retinopathy occurs when the small, fragile blood vessels that supply the back of the eye become diseased. Once diabetic retinopathy occurs it can be very difficult to treat. Diabetes can cause small blood vessel disease in the kidney, also. Over time this can lead to irreparable harm to the kidneys and decreased kidney function. While the exact cause of diabetic neuropathy is unknown, damage to small blood vessels is thought to be a major cause. If you know someone that suffers from diabetic neuropathy, they can tell you that the pain and numbness is unrelenting and can reduce quality of life. A vein’s job is to bring blood back to the heart. Unfortunately the heart does very little to help the veins do their job. The majority of blood pressure that the heart supplies to the cardiovascular system is meant to push blood through the arteries and capillaries. The veins are left to their own devices. I stated earlier that veins rely on body motion to get blood back to the heart. Thus, if people are inactive, veins have a very tough time doing their job. When the blood stagnates in the veins, it is much more likely to clot. Physicians are taught that three things lead to a blood clot in the cardiovascular system (thrombosis): Stasis, endothelial injury and hypercoagulability. In simpler terms they mean decreased flow, damage to the inside wall of the blood vessel and a body state that tends to form clots, like dehydration, certain genetic abnormalities and smoking. These three things are known to doctors as Virchow’s triad but you can think of them as the three factors that lead to the most dreaded disease of the veins: deep vein thrombosis or DVT. A deep vein thrombosis or DVT is a clot that forms within one of the deep veins, usually in the leg. If a DVT becomes large enough it can lead to significant swelling. For example, if a DVT forms in a deep vein at the knee, the entire lower leg can swell because fluids cannot be moved back to the heart. Swelling is not what people worry about with a DVT. They worry that if the blood clot breaks off it could travel to the lungs and be fatal. Remember the warning that you should stretch and flex your legs during a long flight and drink plenty of fluids? This warning is meant to help you avoid blood clots in your legs. Obviously the symptoms of cardiovascular disease will vary depending on the disease but certain features are common among various blood vessel diseases. Recall the four major problems with the “pipes,” they get too narrow, get too wide, can clog up and can break open. Diseases of narrow pipes are angina and claudication, which are caused by disease of the coronary arteries and arteries of the limbs, respectively. The telltale sign of this type of disease is that a sharp, crushing or deep aching pain occurs during periods of exercise and goes away at rest. This makes sense if you think about it. As we exercise, our tissues need more blood. If the blood vessels are narrow, they cannot deliver enough blood, and the starving tissues react by sending pain signals to the brain. Think about when your arm falls asleep…that dull pain (not the pins and needles) is similar, although less severe, than angina or claudication. Pipes that are too wide (aneurysms) cause few symptoms until they burst, unfortunately. Occasionally a doctor may feel one when she presses deeply on the abdomen. When they occur in the brain they may lead to subtle neurological symptoms like headache or blurry vision. Some people may live their entire lives with an aneurysm and not know it, or it may be diagnosed incidentally when doctors are looking for another illness. Aneurysms can be diagnosed by arteriogram or special types of CT and MRI. An arteriogram involves injecting a dye into the arteries while the special CT and MRI may or may not require the injection of a dye. Fortunately treatments exist to stabilize the aneurysm if it is detected early. If an aneurysm bursts it is a medical emergency requiring prompt surgical action. A ruptured aneurysm is associated with terrific pain and signs of hemorrhage like dizziness and low blood pressure. Heart attack and stroke are examples of the pipes clogging up. If the occlusion is in a coronary artery, it is a heart attack and if the block is in an artery of the brain, it is a stroke. The clog can be due to a diseased vessel at the site of the occlusion, a clot that formed upstream and traveled to the occlusion, or a combination of both. A heart attack can cause a crushing chest pain (“an elephant sitting on my chest” is the classic descriptor), sweating, and pain in one or both arms, nausea, vomiting and shortness of breath. Heart attacks may not cause all of these symptoms in fact, research indicates that symptoms in women may be quite different. Also, patients with long-term or poorly controlled diabetes may feel very little pain. A stroke classically causes slurred speech, loss of sensation and the ability to move on one side of the body. Unfortunately stroke can cause any number neurological symptoms, too many to discuss here. What is common to all strokes is that they occur quite suddenly. Not every stroke is a clogged pipe—one in five strokes occurs because of a broken pipe (hemorrhage). If this happens the stroke symptoms will be accompanied by a severe headache. Fortunately pipes that tear apart or dissect are relatively rare. Most times they occur in the large artery that leaves the heart called the aorta. An aortic dissection often feels exactly like what it is, a tearing chest pain. It can be diagnosed with certain CT and/or MRI studies. Perhaps surprisingly, many aortic dissections will heal with medical treatment (e.g. blood pressure medication) but others require surgical correction. Certain genetic factors leading to cardiovascular disease are beyond control. For instance, people with collagen vascular diseases and diseases of the connective tissue are at increased risk for developing aneurysms and vascular dissections. Until gene therapy advances to the point of being able to correct these issues, very little can be done. Fortunately many cardiovascular disease risk factors are completely within your control (i.e. they can be modified). One of the biggest enemies of the heart and blood vessels is abnormal levels of cholesterol. Those unstable atherosclerotic plaques that lead to narrowing, bulging, clogging and splitting pipes are full of bad cholesterol and harmful cell-killing substances. LDL has earned the name “bad cholesterol” in part because directly contributes to disease of the blood vessels. 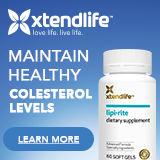 LDL delivers cholesterol to growing plaques and attracts cells that are harmful to blood vessels, such as monocytes and macrophages. These cells convert to an even more destructive cell type called a foam cell which wreaks havoc on the blood vessel wall causing inflammation and deformity. On the other hand, the good “cholesterol,” HDL, helps shuttle cholesterol and some destructive elements out of these plaques. By keeping cholesterol levels within normal ranges, you can prevent new atherosclerotic plaques from forming and heal the plaques that have begun to invade the arteries. Type 2 Diabetes Mellitus is an epidemic in many developed countries. Over time, diabetes can ravage small blood vessels and lead to serious health problems such as blindness and kidney failure. There are several types of medication available to control diabetes including injections of insulin. While most people do not realize it, Type 2 Diabetes is modifiable. Unlike its Type 1 counterpart, Type 2 Diabetes is very sensitive to changes in weight. In fact, people with Type 2 Diabetes can reduce their dependence on medication (even send their diabetes into remission!) through weight loss, a healthy diet and exercise. Very few diseases are so influenced by a person’s weight—weight is both the cause and the cure! Obesity seems to go right along with Type 2 Diabetes, but doctors and scientists consider it its own risk factor. Carrying additional weight, especially in the torso, raises the risk of coronary artery disease. Physical inactivity and poor nutrition factor also lead to diseased blood vessels. As if the high risk of COPD and cancer weren’t enough reason to quit smoking, smoking’s role cardiovascular disease is yet another. Any problem that can occur in the “pipes” is made worse by smoking. 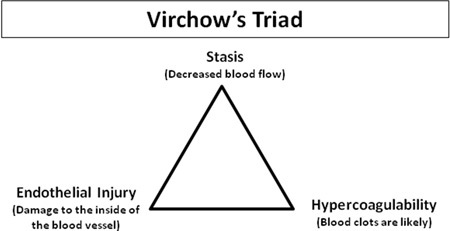 Smoking tobacco products greatly increases the risk of heart attack and stroke and creates a hypercoagulable state (remember Virchow’s Triad). Smoking stokes up the inflammation process and contributes to atherosclerotic plaques formation. Again, these plaques are what lead to vessel wall weakening and breakdown. High blood pressure (hypertension) is an independent risk factor for stroke and heart attack. It is also a major risk factor for aneurysm and arterial dissection. Hypertension is another disease that is directly tied to weight, diet and exercise. While there are many medications that can combat the disease, you can lower your own blood pressure by shedding pounds and getting into good physical shape. What is good for the heart is good for the blood vessels. While we cannot live without the heart, we need healthy blood vessels for the heart to do its job. Atherosclerosis is the enemy of blood vessels and leads to weak, narrow, stiff and diseased pipes. Unhealthy pipes lead to terrible diseases—diseases whose risk can be reduced by controlling weight, keeping cholesterol levels within normal limits, smoking cessation, a healthy diet and exercise. Remember that high blood pressure and especially Type 2 Diabetes are very responsive to weight loss. While medicines can control these illnesses, proper diet and exercise can correct them. Preventing cardiovascular disease is fundamental to a long, healthy and happy life. Main write and research by Michael T. Sapko M.D., Ph.D., minor rewriting by Donald S. Urquhart.